Are people still listening to radio? There has been a lot of talk recently about the demise of radio, and that listenership figures aren’t as good as they once were. This is mainly attributed to online content; and the ability to get our news at the touch of a button on our smartphones. http://purcellmasterson.com/wp-content/uploads/2018/03/radio-964684_960_720.jpg 720 960 Dean Egan http://purcellmasterson.com/wp-content/uploads/2017/04/purcellmasterson.png Dean Egan2018-03-07 10:38:012018-03-07 10:38:01Are people still listening to radio? With my background in Psychology I have heard people say “Sure I am a bit of a psychologist myself” more times than I have had hot dinners. As anyone who knows anything about Psychology will confirm it is wise to make oneself scarce when you hear the above sentence. 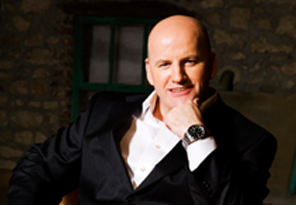 Ahead of his appearance at ‘Creating Success’ in Hotel Kilkenny on Monday, 19th February 2018, Sean Gallagher spoke to Conor McMahon from Fora.ie. A contact is just that. A contact. It is someone you know personally or professionally. Do you want to hear the secrets of success behind some of Ireland’s top business speakers? Do you want to hear the secrets of success behind some of Ireland’s top business speakers? while also supporting local in County Kilkenny. Have you ever wondered how to be successful in Business? Some of Ireland’s top business people will be coming to County Kilkenny later this month. If you’re interested in rising to the top of your field, this is definitely an event you should attend. http://purcellmasterson.com/wp-content/uploads/2018/02/Creating-Success-1.jpg 3280 4960 Dean Egan http://purcellmasterson.com/wp-content/uploads/2017/04/purcellmasterson.png Dean Egan2018-02-06 16:36:172018-02-06 16:36:17Do you want to hear the secrets of success behind some of Ireland’s top business speakers? Fancy yourself as the next big thing in the culinary world? Fancy yourself as the next big thing in the culinary world? There is an exciting upcoming venture in County Kilkenny that could help you do just that. The School of Food, based in Thomastown, County Kilkenny is currently seeking applicants for their upcoming introductory Commis Chef Programme, ‘Modern Skills for Modern Chefs’. http://purcellmasterson.com/wp-content/uploads/2018/02/School-of-Food-1.jpg 500 720 Dean Egan http://purcellmasterson.com/wp-content/uploads/2017/04/purcellmasterson.png Dean Egan2018-02-06 16:28:232018-02-06 16:28:23Fancy yourself as the next big thing in the culinary world? Following an extended Prime Time Special on December 5th 2017, Family Carers Ireland responded with the launch of a new campaign designed to highlight the critical situation of many of Ireland’s family carers. This campaign will run throughout 2018 and will shine a light on the current gap in public data and supports for family carers. According to the organisation, carers don’t want praise or pity, they want proper support to enable them to continue propping up our struggling health service*. They are angry at a system which exploits and sometimes abuses their family bonds and only pays lip service to their needs to care safely for their loved ones.